But before I gush about the books I'm waiting on, I need to gush a little about my upcoming January event and Ruby from Ruby's Reads's sister event that you, yes YOU, can help with! As part of the events, we need your blogging-related questions! Are you a newbie blogger wondering things like how to gain followers, set up a new background on your blog, receive ARCs, etc? Or are you an established blogger, feeling a bit of a blogger slump coming on, wondering how to manage your review pile, bust the blogging blues, etc? 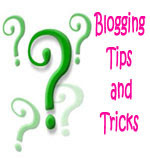 Regardless of whether you're a new or established blogger, we want your questions! Please help us help you by clicking HERE and filling out our completely anonymous form! I've always wanted to read one of the books from Lauren Kate's Fallen series! Oh, wait, this book isn't from that series. Coulda fooled me with that cover. I'd bet money that's a Fernanda Brussi photo. But, ok, I actually do want to read this book for more than just the pretty cover. I know we're supposed to be SO over vampires, but, shhh, I'm not. I like the almost dystopian sounding set up the vampires have going on here, too. I might normally be a little wary about the sound of that romance, but I loved the romance in To Catch a Pirate (written by this author under the name Jade Parker), so I'm hoping for more of the same type of swoon. It's Rome, 61 BC. Recruited as a gladiator, young Marcus Cornelius Primus faces a new life of brutal training, governed by strict rules, as he learns the skills of an elite warrior. But Marcus cannot simply forget his past. His father lies murdered by soldiers and his mother has been kidnapped and forced into slavery. Roman history! 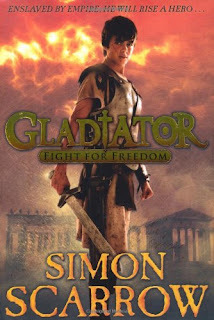 My fiance reads the Roman history series Simon Scarrow writes for adults, but of course my interest is piqued by the YA series. I've taken a peek into the adult books and they seem fun and fast-paced, and I assume the same will hold true for his YA series. The author is British and doesn't seem to make much effort to emulate the language customs of the ancient Romans, so it is common to see the characters call one another "wankers" and "right bastards." A little out of place, but funny. I wonder if that happens in this series. I'm gonna go put the buttons now, :) I loved the Busting the Newbie Blues event last year!! Your WoW looks great this week. Both of these books sound really good. 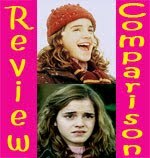 In any case, I'd love to hear what you think of these books when, if you get around to reading them. 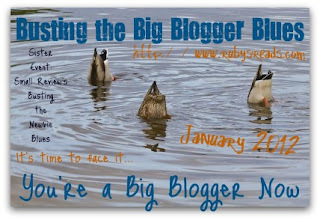 Also, Busting the Newbie Blues/Busting the Big Blogger Blues sounds great! I'm so excited for another wonderful Small/Ruby event. Hopefully you can retain your princess title for this event as well. I'm really curious to see how Darkness turns out. 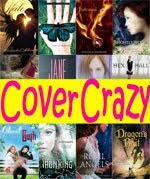 It's cover seems similar to that of Lauren Kate's Fallen series, no? Darkness Before Dawn sounds very interesting. I like the cover, like a lot!!! It's beautiful and haunting! Great choices! Thank you for sharing! I agree with you. Darkness Before Dawn is definitely one of the books that I'm looking forward to! It's intriguing. And the cover is just so gorgeous. Yesssss. The one thing I've realized is that I do not own nearly enough dramatic black ballgowns. I'm serious. Based on the immediate swoony feeling that I get whenever I see a book cover like this, it's clear that I need more ballgowns in my life. I'm gonna start wearing those things all over, on any occasion, shopping, going to work, running errands, cleaning the house, etc. Ohh awesome books you got here! definitely checking them out. Great picks. 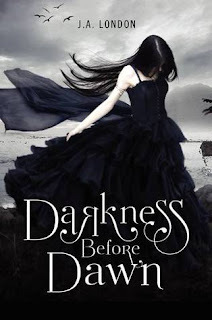 I agree with Mocha Latte, the cover for Darkness does remind me of Fallen. I'm so excited about your blogger series. I'll definitely have to think up some questions. I think you should spend some time dealing with how to adjust to the upcoming GFC changes. I just found out that Rachel Hawthorne, one of my favorite authors a few years back, and her son are co-writing this one so I'm excited for that alone. But I'm notso secretly over vampires either, then throw in the dystopian setting and I'm so there. So I love the cover to it as well for Darkness. Another to add to my list. Wow Darkness Before Dawn is such a beautiful cover. That alone is why I would pick it up. Add to the fact that it's about Vampires? HELL YES! Your first pick looks really good. Thanks for sharing!